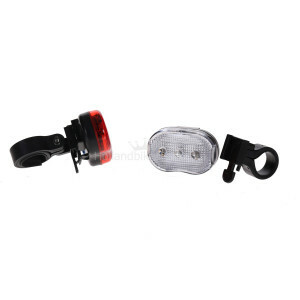 HBS Lightingset Kate is equipped with 3 bright LEDs per light and has a great visibility. 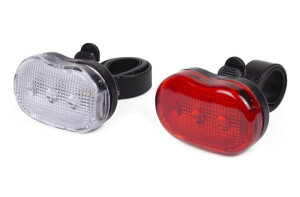 The headlight has 3 modes: constant, blinking (2). The holder is easy to attach onto the handlebar or stem. Beacause of the click-system the handlebar is quickly mounted and dismounted.